Out of Limbo and Into London! Anyway, Limbo-at-Work has been especially difficult the last few days because an amazing opportunity arose that I wanted to jump on…but it wasn’t yet approved! Imagine you’re at a restaurant and the chef comes and sits at your table and starts raving about this brand new dish he just created and it contains every delicious delicacy ever and after he describes it to you, it’s all you can think about. And then he tells you it’s not cooked yet. Or that he has to import all the ingredients. And that you can’t have it yet…and may not be able to have it ever. That’s kind of what this was like. Until today! When I got the official word, the actual dates, the real-life-approval, the authoritative YES! 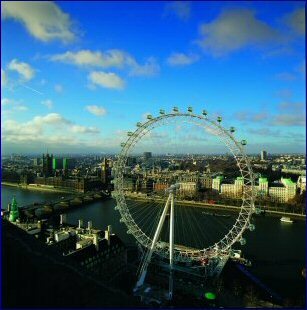 I am leaving on February 12 for our LONDON office! For SIX WEEKS! I don’t think I could be more excited. I hope I get to take a picture just like this!